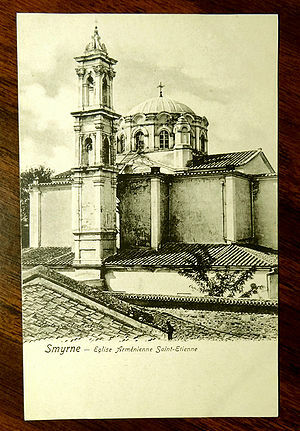 There was once a flourishing Armenian community in Smyrna, which the Turks have renamed Izmir. The community was destroyed once and for all in 1922, when the Turkish forces burned down the Christian parts of town and drove the Armenians and Greeks into the Aegean Sea. This page was last edited on 15 October 2018, at 05:23.